The new SV 100A is a wireless whole-body vibration exposure meter, suitable for whole-body measurements in accordance with ISO 2631-1. 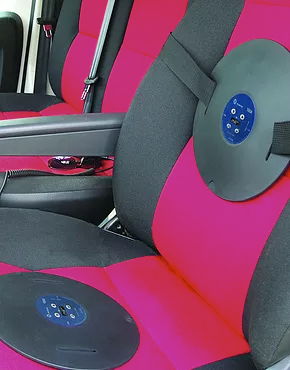 Suitable for taking measurements both on the seat and seat-back, the device uses the very latest technology and is ease of use. The instrument is equipped with 4 push buttons and a small OLED display that allows basic configuration in the field. 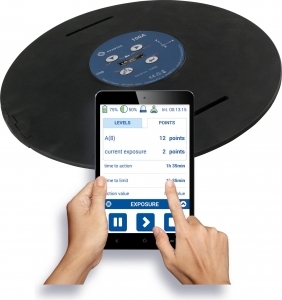 The Bluetooth interface enables current results to be previewed on a smartphone or tablet using our SvanMobile Android application. The smartphone app can also signal an alarm when set vibration limits are exceeded. Our advanced technology enables the automatic detection of an operator in the workplace. By default the instrument is configured for seat measurements (in a horizontal direction) but this setting can be easily changed. When changing the orientation of the SV 100A to the vertical, the directions of axes and weighting filters are automatically adjusted in accordance to ISO 2631-1. The device is equipped with both RMS and RMQ detectors which allows the calculation of Daily Vibration Exposure A(8) based on RMS and VDV simultaneously. All measurement results are stored in a large 8GB internal memory which allows continuous recording over long periods. The standard 2.0 USB interface allows fast data download and is also used for battery recharging.